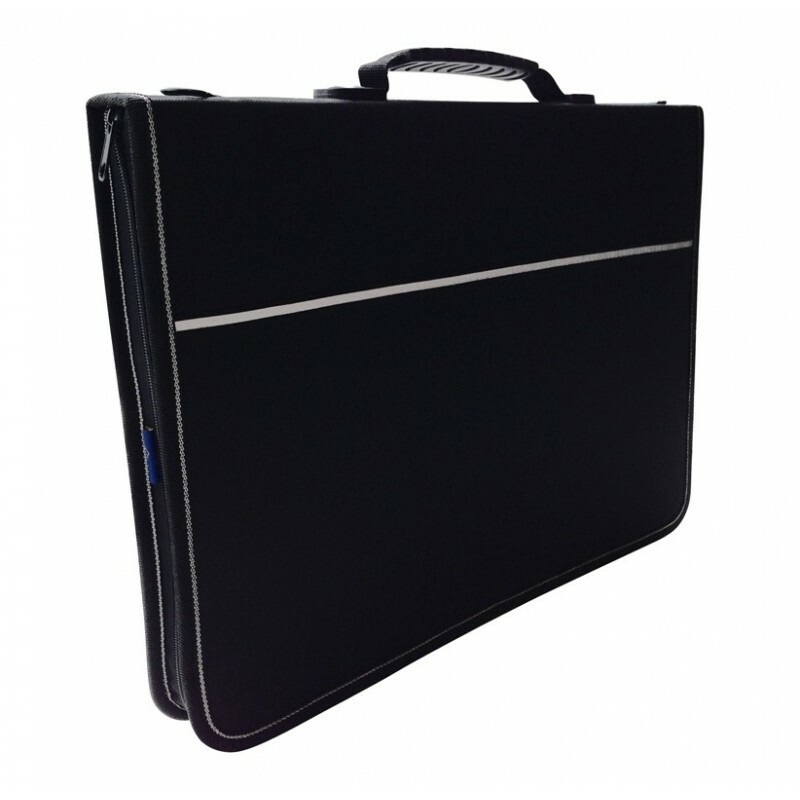 Mapac Quartz Portfolio lightweight, strong, polypropylene Portfolio with a strong 3 ring mechanism that can fit many jet sleeves of any size up to portfolio size. 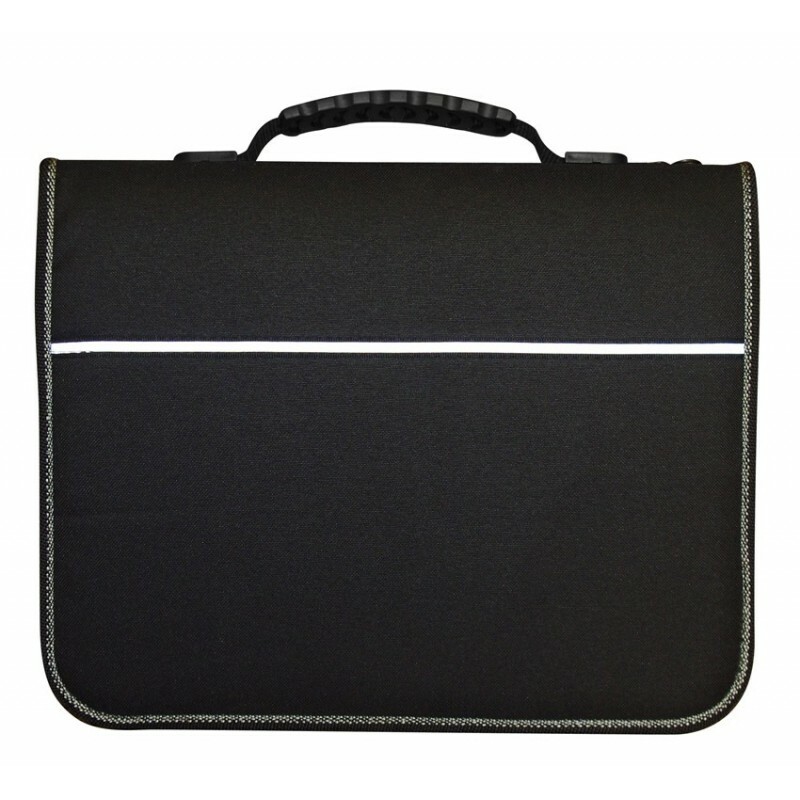 Featuring a padded nylon outer, reflective strips, comfortable handles, double lockable zippers, 2 internal pockets, a business card holder AND an adjustable shoulder strap. First choice of students, photographers or artists because this portfolio is keeping all your work/drawings information together for presentation and keeping un-damaged. Take pride in your work and keep all your ideas and imaginations safe with this sturdy, reliable and professional Mapac Portfolio. The Mapac Quartz Portfolio is also available in A1, A2, A3 and A4 sizes. In A1, A2 size portfolios A2, A3 & A4 sleeves will fit which make the big portfolios suitable for small sizes.